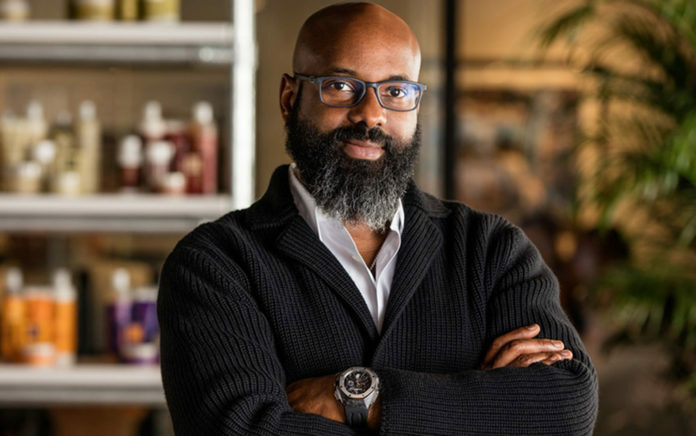 Shea Moisture Founder Richelieu Dennis has announced the launch of the New Voices Fund. A $100 million next generation fund that will make private equity investments specifically in women of color-owned businesses, the fund focuses on investments from start-ups/Seed to Series C rounds and primarily invests in three verticals: consumer, technology and media/entertainment. The fund is a partnership between Dennis and Unilever. ?The facts about investments in women of color entrepreneurs, particularly Black women, are astonishing,? said entrepreneur and social impact investor Richelieu Dennis, founder of New Voices. ?Entrepreneurship among women of color has increased 322%, but only 0.2% of those women receive access to the funding needed to sustain and grow their businesses. Still, female-led businesses that receive funding outperform their male peers by 63%. Further, the ProjectDiane 2018 report recently showed that the median funding raised by all Black women is $0, in contrast to the average seed round for all startups in 2016 being $1.14 million. In addition, Black women raised just 0.0006% of the total $424.7 billion in tech venture funding since 2009. This is unacceptable. It is why the Fund is focused on making equity investments and creating an ecosystem that empowers women of color entrepreneurs to reach their full potential by addressing three of the most pertinent issues preventing their long-term success ? access, capital, expertise.? Its official launch was held last week at the Essence Music Festival in New Orleans, but had a soft launch in February investing $30 million in 8 companies: Beautycon; Beauty Bakerie; Envested; McBride Sisters Wine; Sweeten; The Honey Pot Company; Mented; and The Lip Bar. ? ?We are excited and proud to partner with each of these women to bring value that will help fulfill their visions for their companies and create opportunities for economic inclusion, social change and wealth creation in their communities,? said Dennis. ?With the tools and support to demonstrate sustainable, profitable and unapologetically inclusive business models, there is no doubt that these women will shatter the stereotypical hurdles and ceilings they face. We are continuously reviewing applications and urge everyone to apply. We are moving, and we?re moving faster than anyone in this space right now. Based on the underserved needs and overwhelming demand from women of color entrepreneurs, we expect to embark on Fund II even sooner than we originally expected. It?s time to hear more voices that demonstrate measurable social and economic impact in a way that inspires more women of color to join the financial inclusion movement.? Earlier this year, Dennis was in the news for acquiring ESSENCE magazine. ?The needs of women of color entrepreneurs span the entire spectrum,? Dennis said. ?So, it was critical that we acknowledge and address those needs beyond just capital. The New Voices ecosystem will seek to ignite long-term social change and create a society and economy that support and value entrepreneurial women of color for their significant and innovative contributions today and tomorrow. ?